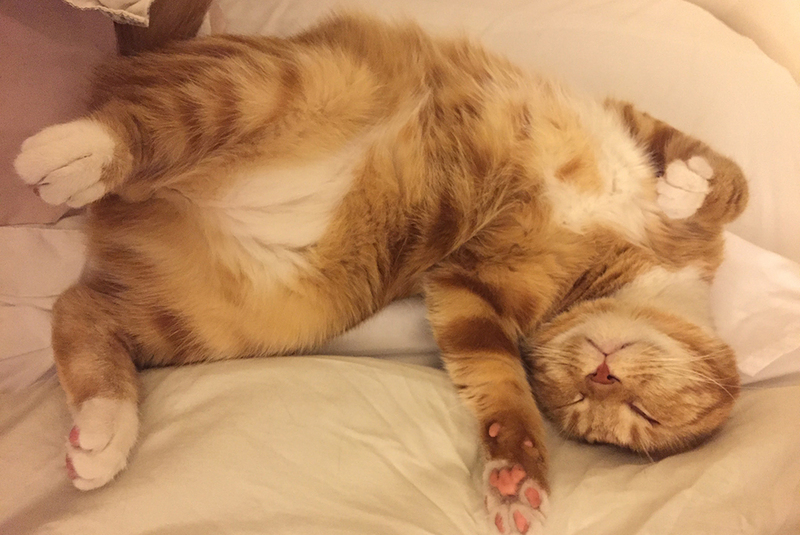 What do five once-neglected cats rescued by the ASPCA have in common today? 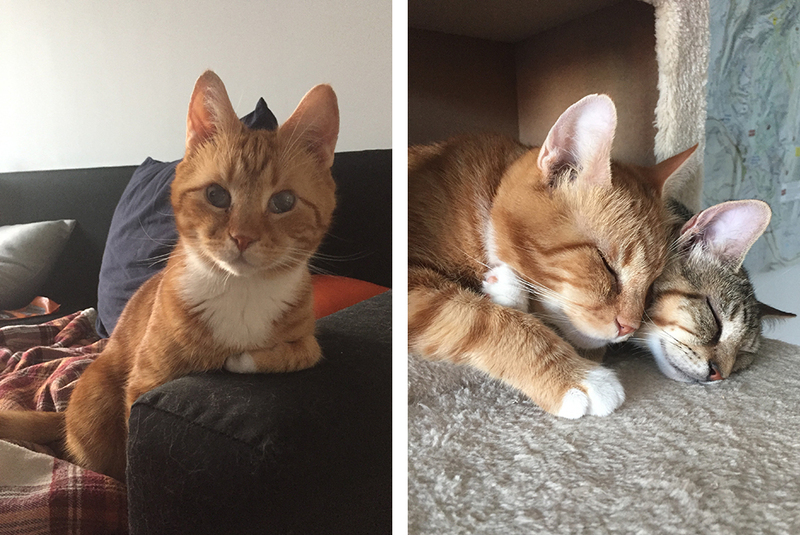 Aside from their rescue by the New York City Police Department (NYPD) and ASPCA from deplorable conditions in a Queens residence (along with more than 60 other animals) in January 2016, these five—and many others—today live the “cat’s meow.” Their previous owner, Elizabeth Grant, was convicted on 108 counts of animal cruelty and sentenced this past Monday to three years’ probation, with conditions. 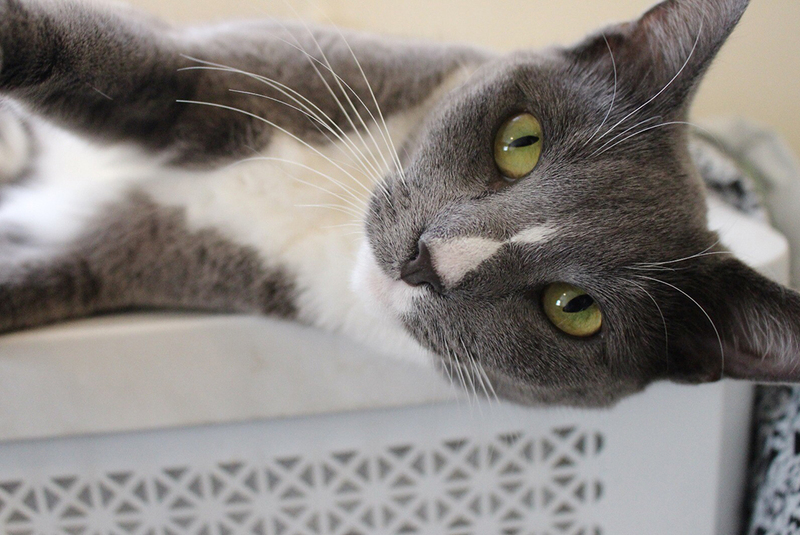 The ASPCA checked in with four families who fostered (and later adopted) five of the rescued cats for six months to a year while the case was being handled in court. “Opening your heart and home to an animal in need—particularly one being rescued from cruelty or neglect—is crucial to not only that animal’s recovery but the ASPCA’s ability to take in even more animals at risk,” said Eileen Hanavan, Senior Manager, Foster & Offsite Programs, ASPCA Adoption Center. Being rescued from a criminal case of cruelty or neglect can mean weeks, or even months, of legal limbo as the case makes its way through the court system and ownership is ultimately determined. During that time, a foster family often provides a loving home and a safe springboard to eventual adoption for these victims. 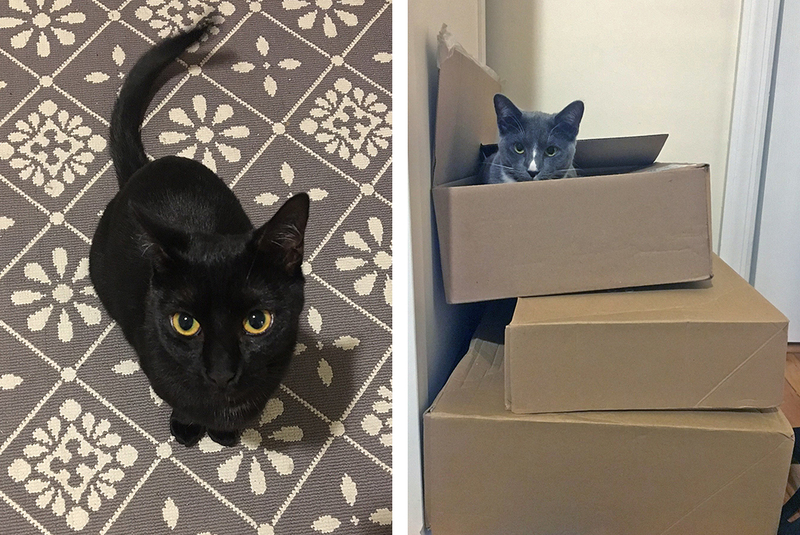 For these five cats, those temporary homes proved permanent. Here are their inspiring stories. 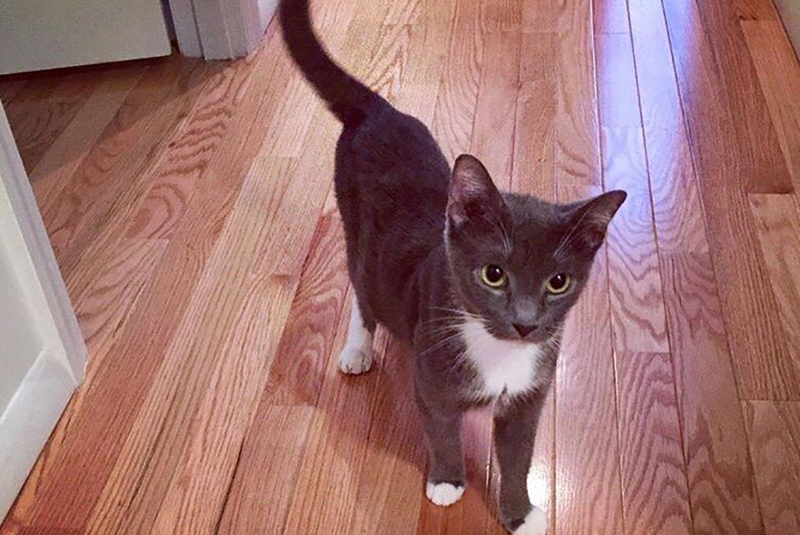 Katie M., a physical therapist who lives on Manhattan’s Upper East Side, fostered Hestia, (now known as Tia), a grey-and-white, six-and-a-half-year-old domestic shorthair, for nearly a year. 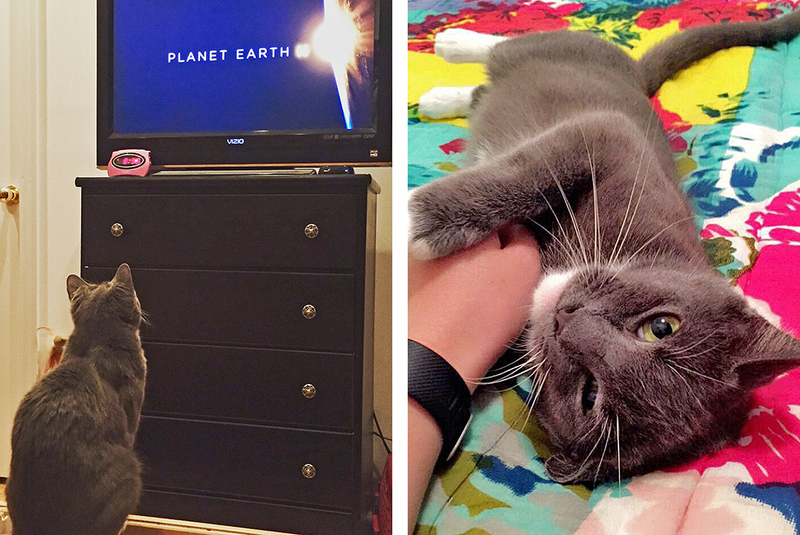 It was no surprise when she adopted her in April 2017. Tia had given birth to four kittens—all of whom have since been adopted—and lived in a previous foster home before she went to live with Katie. She suffered from severe gum disease, which necessitated dental surgery, during which all but three of her teeth were extracted. 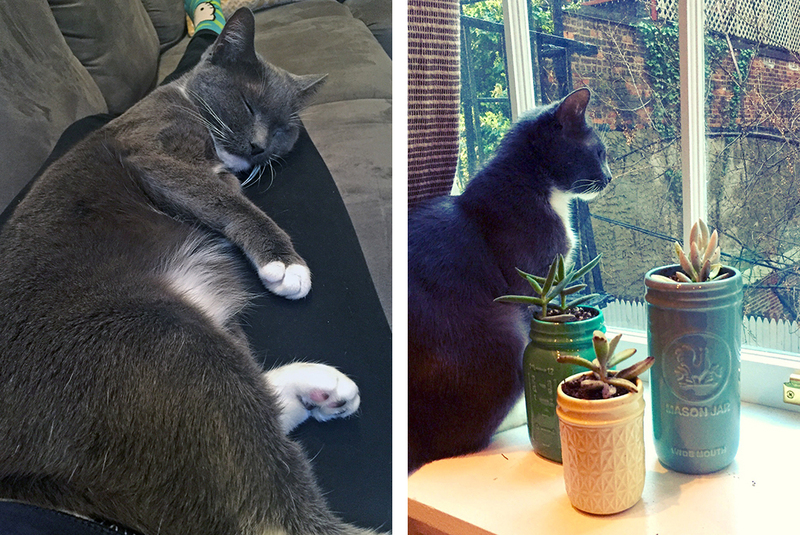 Tia is Katie’s first pet since moving to Manhattan from her family’s home in New Jersey. Katie reports that Tia loves to play with bottle caps and small balls with bells inside them, and is especially mesmerized by the television series Planet Earth. 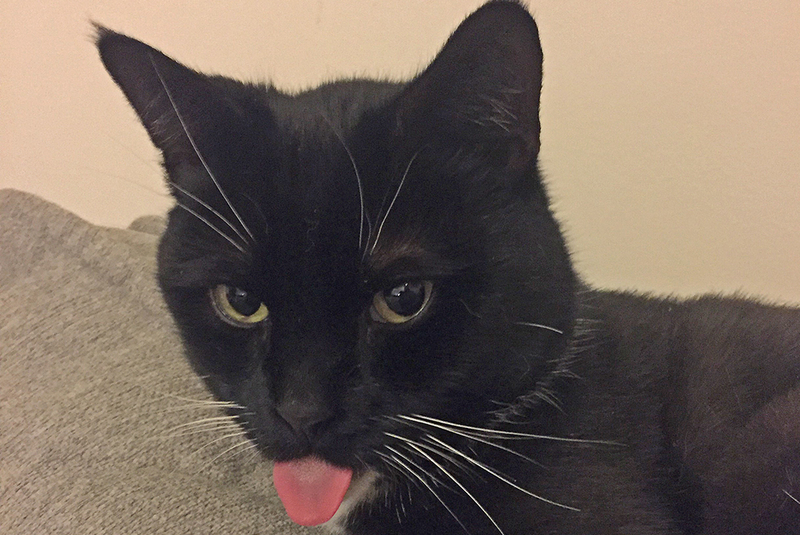 Tia is an only cat—and prefers it that way. Katie says it’s hard to fathom how many animals Tia had to compete with for resources in her previous life in an overcrowded home. 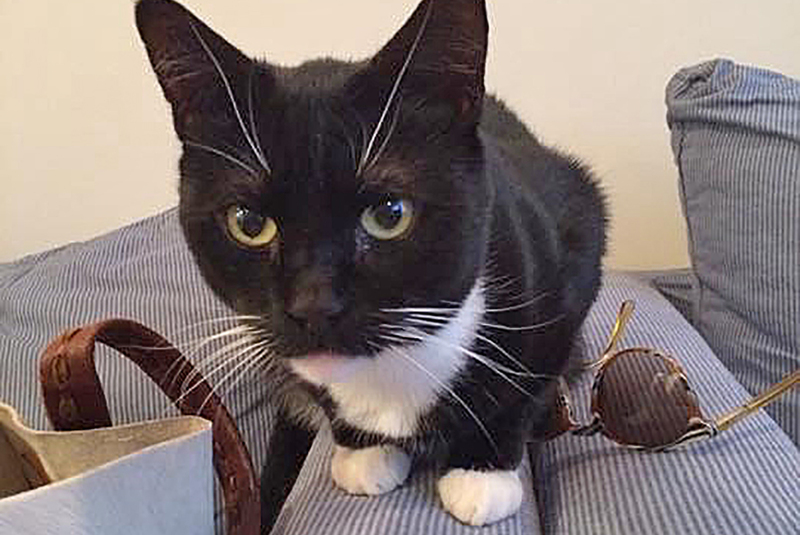 With four white socks and captivating green eyes, Tia is as beautiful as she is affectionate. 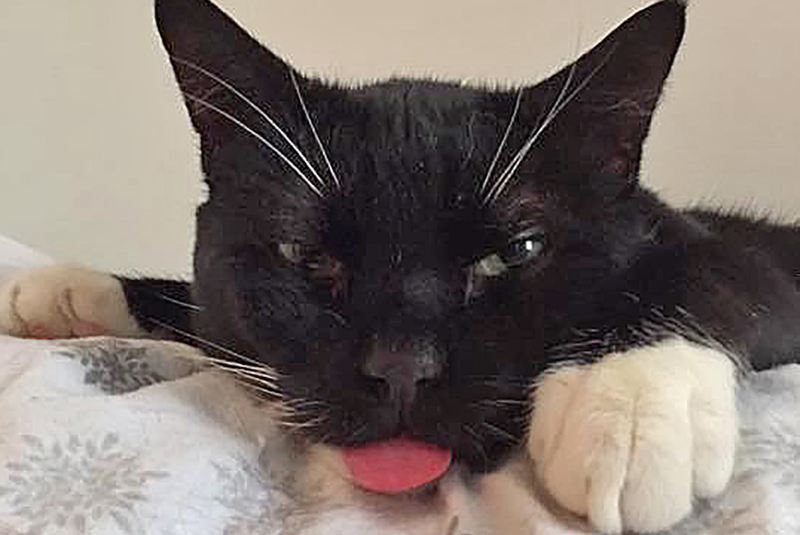 Malakai, a six-year-old black and white cat, was in his third foster home with Melissa M. when she decided to adopt him in April 2017. Despite her lack of sleep that first night, Melissa knew Malakai would come around. Malakai is so laid back, in fact, that he doesn’t mind dressing up for Halloween or other holidays. 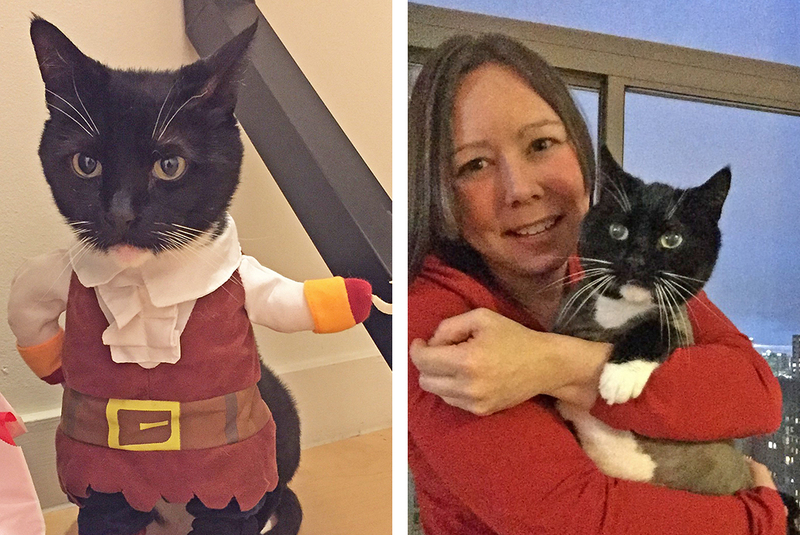 “I have a lot of fun with him—he’s extremely tolerant,” says Melissa, whose other two cats—three-year-old Alfie, whom she fostered as a tiny neonate, and Dori, a 10-year-old whom she adopted in her home state of Connecticut—will not stand for silliness, but they get along with Malakai. Malakai often sports a lion’s groom and has had several teeth extracted, so his tongue sticks out from time to time. He loves people and children, and is the first of Melissa’s cats to grab a spot on her lap when she is on the couch. “It’s a great feeling to see such a change in Malakai’s personality and comfort level,” she says. Lucy L. first saw Andy in July 2016, during an ASPCA introductory foster orientation class that she attended with her then roommate. 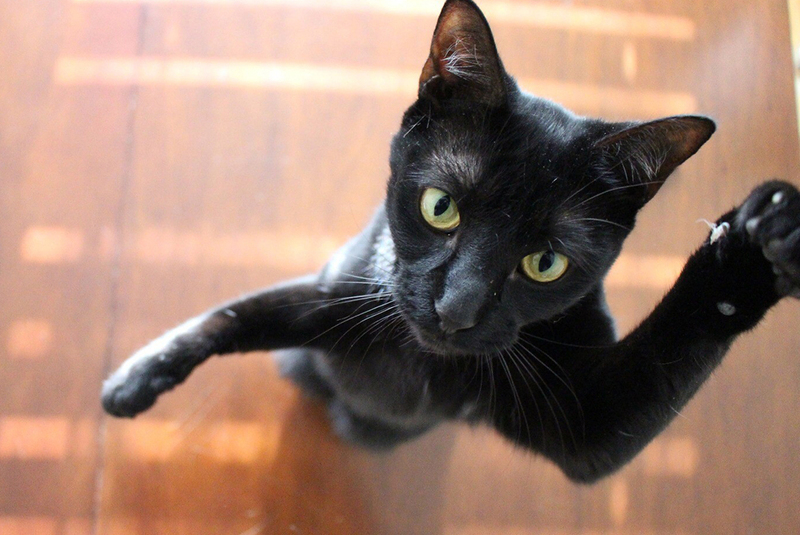 “They created a slideshow of cats who needed to be fostered,” Lucy explains. As picture after picture of adorable felines shone on the screen, each was claimed by other eager foster parents. “You’d see their cute faces and think, ‘I want that one!’” adds Lucy. Then came Andy’s picture. Both eyes were scarred from serious eye infections, and he was on the skinny side. Growing up, Lucy’s family had two dogs, but she always dreamed of having a cat, despite being allergic. 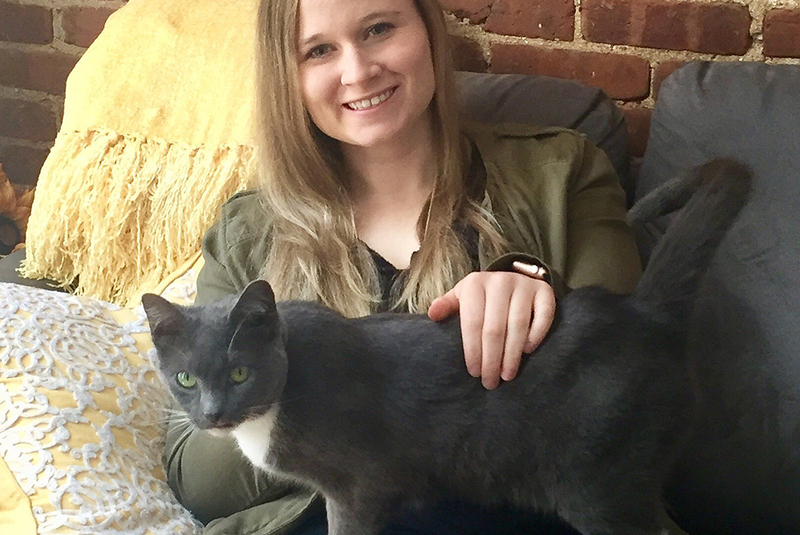 Having recently graduated from college and landing her first job in New York City, Lucy wanted to test the waters by fostering to see if she was ready for the commitment of adoption, and if her allergies had abated. Fortunately, both proved to be true. Through the months she fostered him, Lucy helped Andy (now knows as Lil Stevie) learn to trust that he would be fed regularly and that being picked up could be a pleasurable experience. 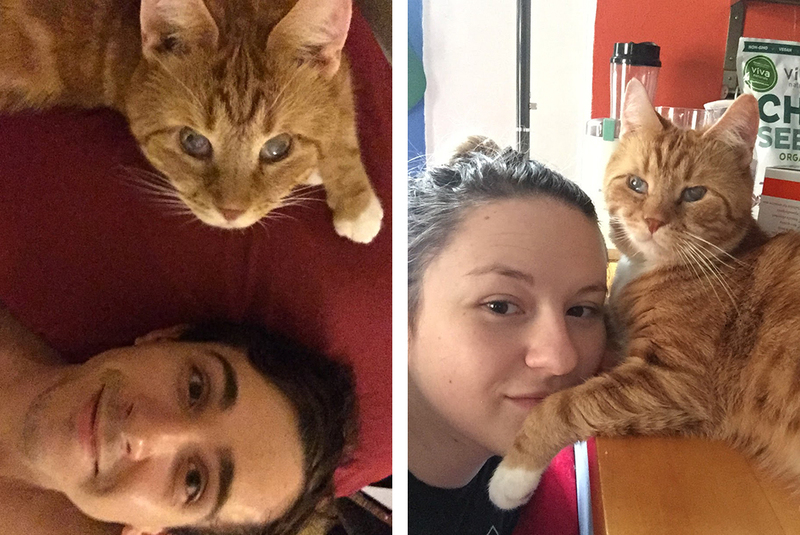 Once Lil Stevie’s adoption was made official in April 2017, Lucy dreamed of adding another feline to the home she now shares with her boyfriend, Will. 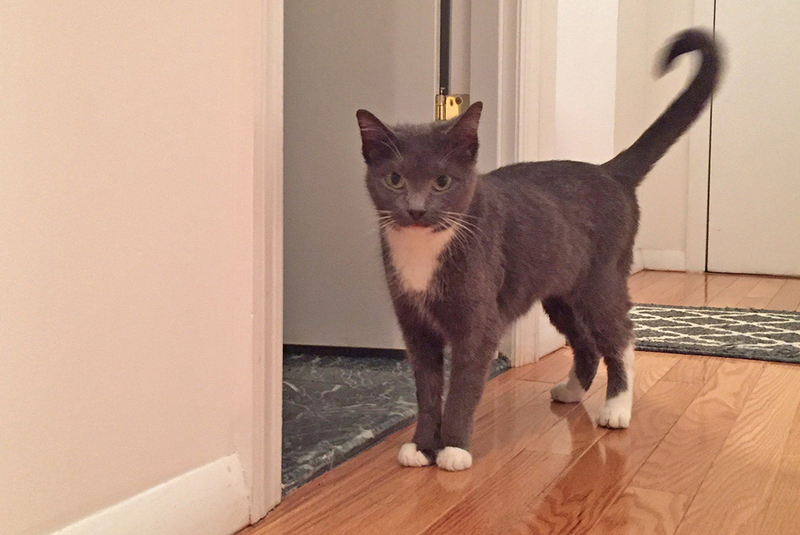 Today Lil Stevie has a younger sister, 11-month-old Kisa, also adopted from the ASPCA. They took a little while to get used to one another, a process that was made a slightly more challenging due to Stevie’s limited vision. 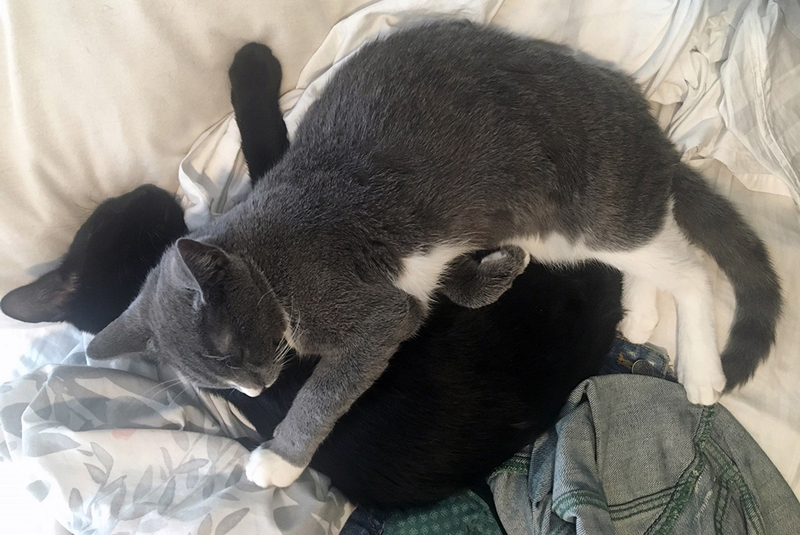 But now, the two felines are fast friends who cuddle and groom each other. Margalit S. had just enrolled in the ASPCA’s volunteer foster program orientation when she met her husband-to-be, Sam, in August of 2015. By November, they were engaged, and the following May, they wed.
And when Margalit renewed her commitment to the ASPCA, this time Sam accompanied her to the orientation. 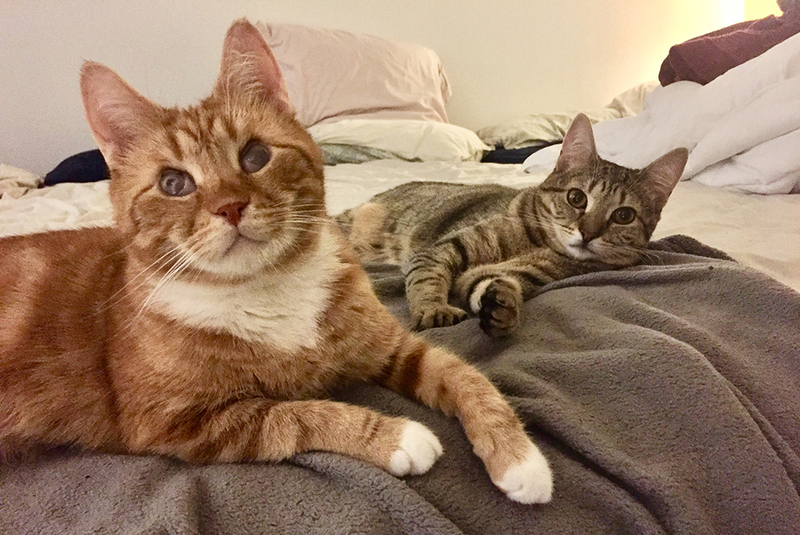 While her husband wasn’t keen on bringing home two rambunctious five-month-old cats, the couple agreed to foster Hola and Happy—their first-ever fosters. The pair were born after their mother was rescued and had lived in two previous foster homes before joining Margalit and Sam in their Queens apartment. “We didn’t know how long we’d have them, but as the case moved forward, we decided we were ready for a pet,” says Margalit, who had dogs from the time she was 12. By comparison, Sam, the eldest of nine children, didn’t have pets growing up. 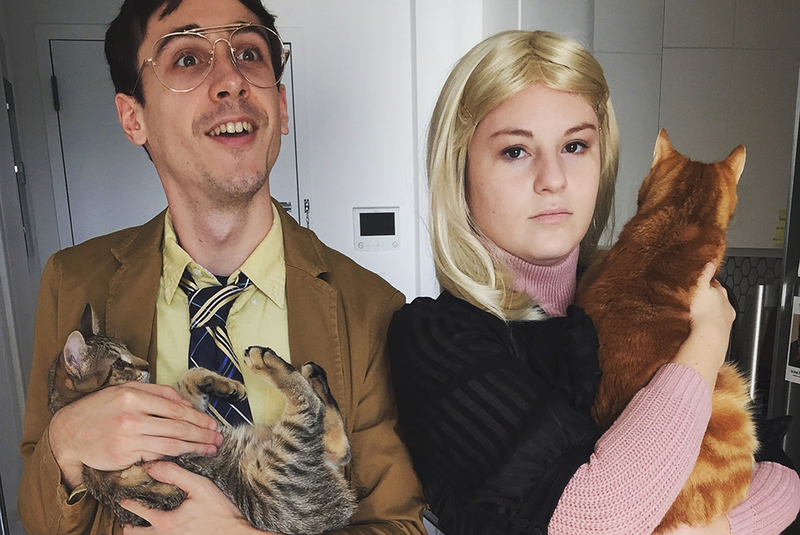 On April 21, 2017, the couple officially adopted the cats, whose personalities are totally different.